Olivia demonstrates her excellent violin hold. Beginners can start as young as 4; you won’t believe how small violins can get! 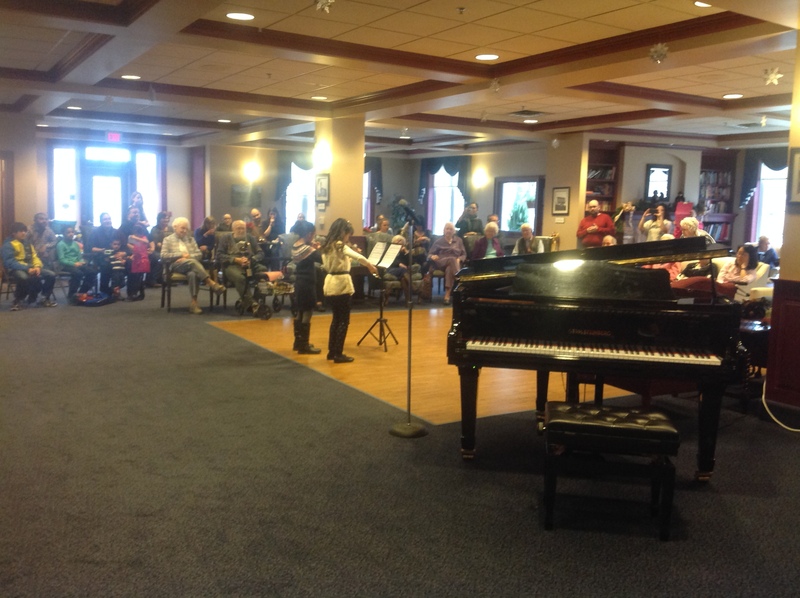 Both teachers have trained in the world-renowned Suzuki method, which can be ideal for young students as it builds physical skills and focuses on sound production before diving into notation. Students learn good habits from the start and feel a sense of accomplishment playing songs they recognize. Violin students can participate in the Royal Conservatory of Music certificate program, which allows them to demonstrate their technical, performance and ear training skills for recognition and feedback from an independent nationally certified adjudicator. 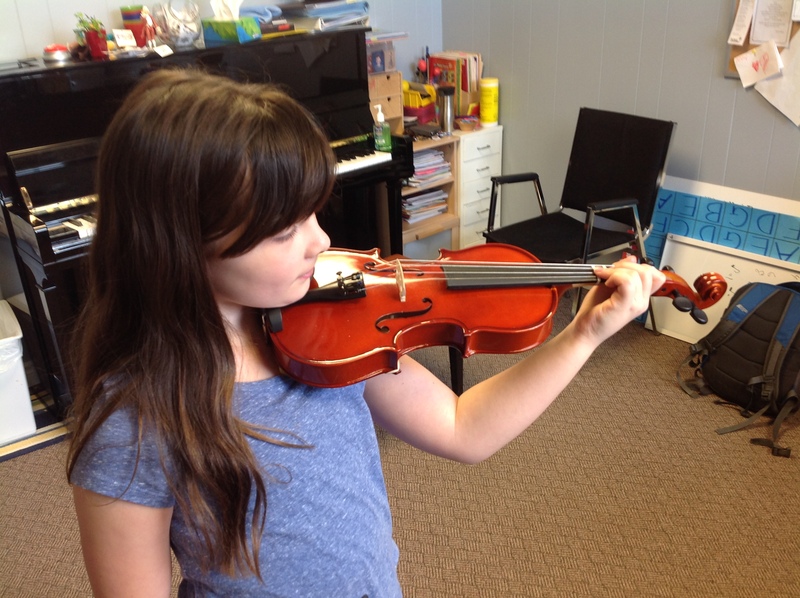 Our teachers also love bringing celtic or other fiddle music into lessons. Some students are strictly fiddlers, but all can enjoy the social, collaborative and improvisational skills fiddling builds. We offer instrument rental and sales through the retail store, but can also provide support to families seeking instruments elsewhere. Our priority is ensuring students have the best quality instrument to learn on within their price range. Students taking the Trial package will have a violin outfit (instrument, bow, case, rosin) included in their trial.